Social media has become a huge help in organizations when it comes to sharing ideas, collaborating online, handling business transactions, and building brands. With the advent of social networking sites like Facebook, Twitter, and Instagram, reaching out to different types of audiences is now possible with just one click. According to Statista, the number of social network users around the globe has reached 1.4 billion in 2012, and is expected to increase by 2.13 billion in 2016. Nowadays, social media marketing is one of the most effective strategies used by businesses and professionals. With its ability to gain website traffic and interest through online content such as blogs, videos, and infographics, brands can be easily introduced and built upon. 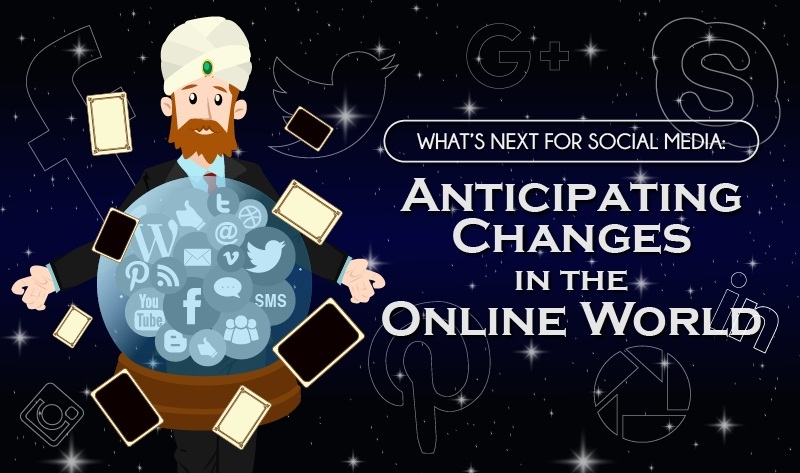 But what’s ahead for social media in the coming years? This infographic from SlideGenius provides information about the latest trends and the future standing of social media in the World Wide Web. Did you know that social network users have increased from 1.4 billion in 2012 to 2.13 billion in 2016. Social media not only bridges the gap between marketers and prospects. It also transforms how businesses interact with their audiences. So, what's next for social media? We've seen how social media presence has emerged in the previous years. With constant innovation, online communication has improved. Let's review some predictions about the future of social media. People nowadays post updates and voice out concerns online. As the number of social users increases, live-stream updates will also spread. 88 percent of consumers prefer to read online reviews from social media platforms before purchasing a product. An increased number of users will convince marketers to pay more attention to social media. Most businesses rely on social networking sites for brand building and recognition. Online media like blogs, videos and infographic will soon dominate social media. Mobile devices are becoming more popular in usage and accessibility. A study from Statista shows, the number of mobile phone users is expected to increase by 4.77 billion in 2017 and 5.07 billion in 2019. Make sure your website and brand mobile-responsive to reach out to users anytime, anywhere. Boost your online content and engagement by making the most out of your social media presence!